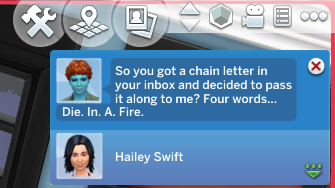 Speaking of Adalind, she’s only one day into teendom. Ugh. 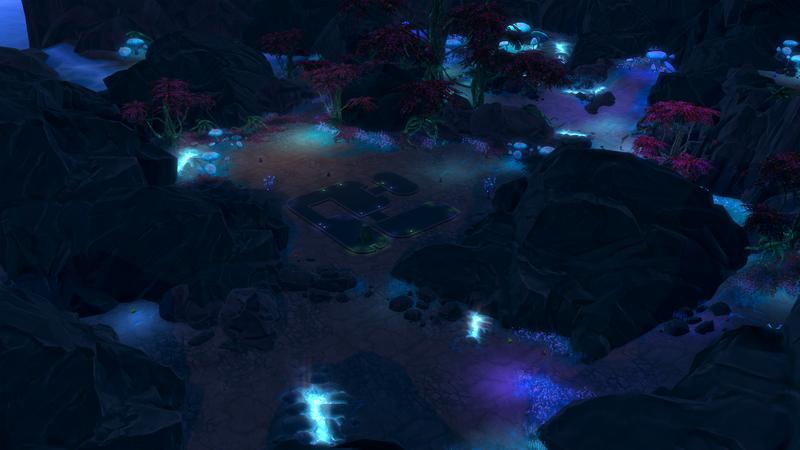 So we have a LOT of playing to do… This is where the three-speed goodness comes into play! 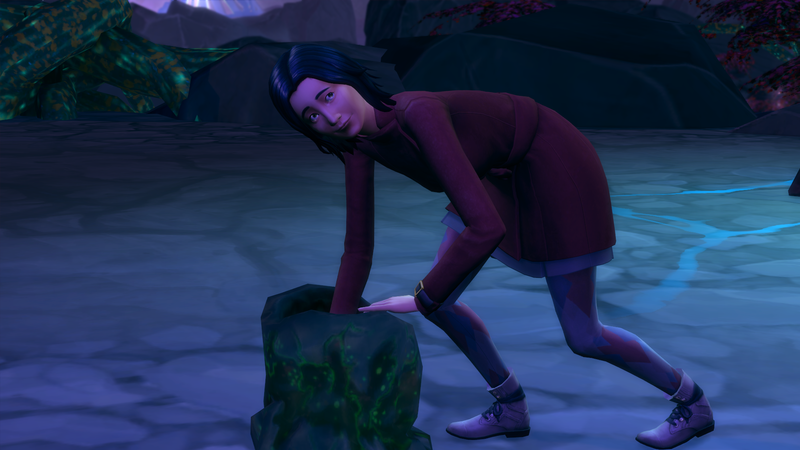 Adalind is really going for it. I couldn’t figure out where she was going until I saw this. 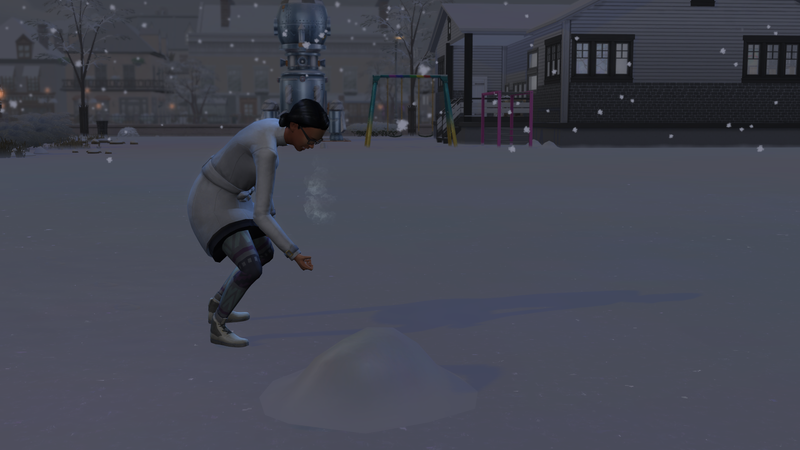 She went allllll the way across the empty neighboring lot just to shovel this pile of snow. 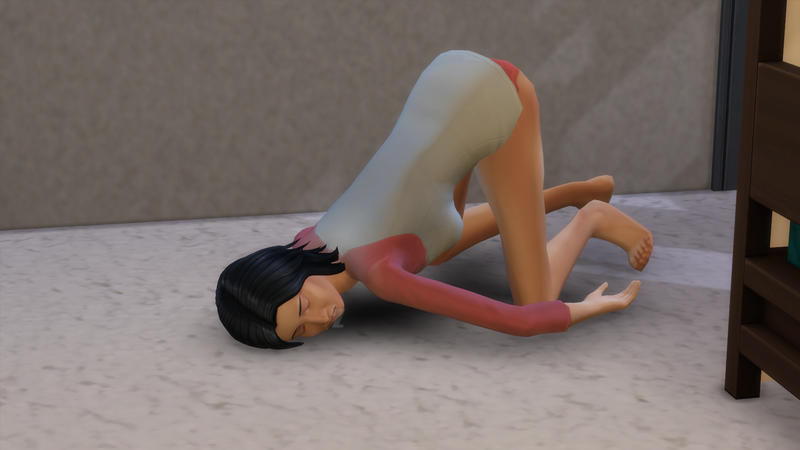 And she managed to do it with an INVISIBLE SHOVEL!! Hai mom! Why do you always visit while we’re at work? What wrong with you? NooooOOOOoooo!!!!!!!!!!!!!!!!!!!!! Dad! I miss you already. I loved seeing you pass by the house. And since we were here we went and did some collecting. We need those Get To Work items! Made it home since there was nothing else to do. 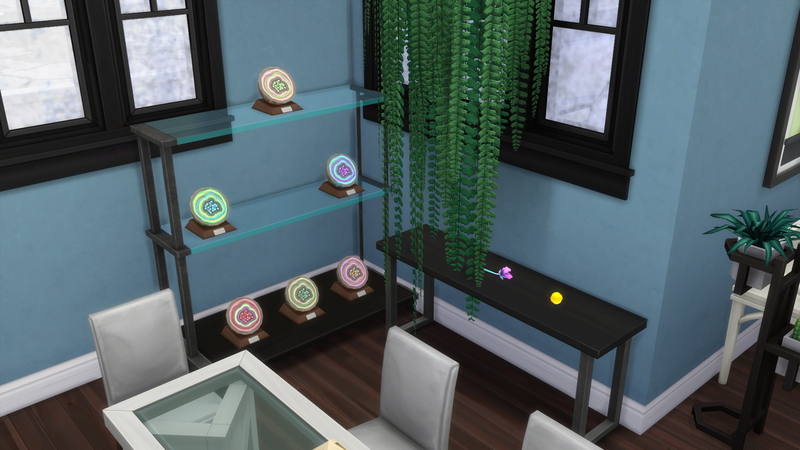 We completed the geode collection, and got a couple of harvestables. So that completes the last goal for Hailey. Now we just have to wait for Adalind to age up. 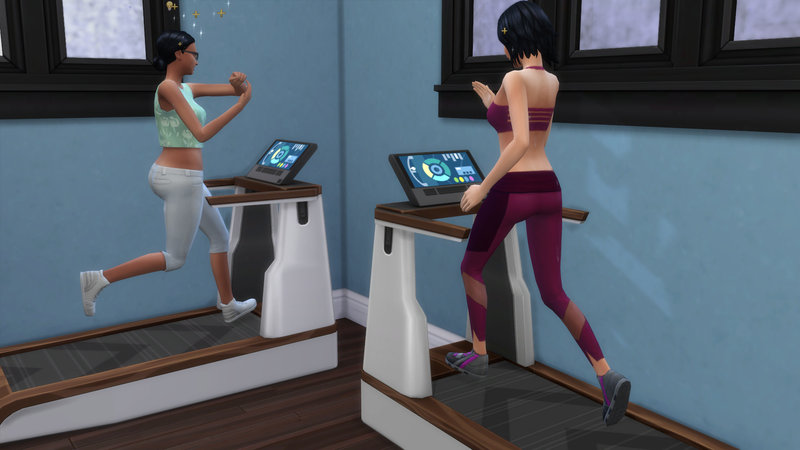 The second treadmill was a really good idea. Lookin’ good, Adalind! Damn, Devin! 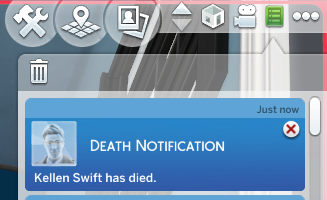 That seems like a drastic over-reaction! 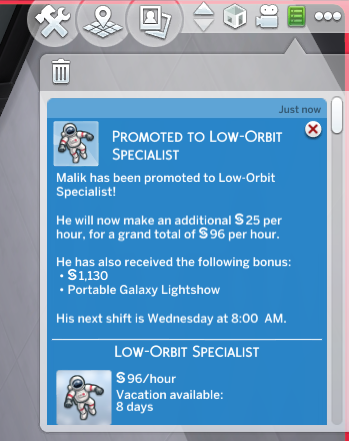 Malik got that promotion he was looking for! I want to see how far I can get him in his career before Adalind takes over. And so is cousin Avery! Also, he apparently got married. WHAT THE HELL!? WHEN DID THIS HAPPEN!? HOW DID I MISS IT!? 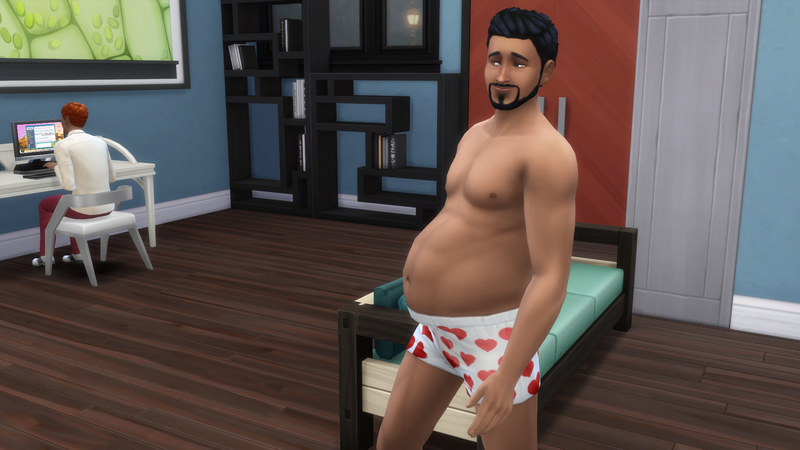 This is not okay… I wondered why it looked like he was gaining weight… Ugh. 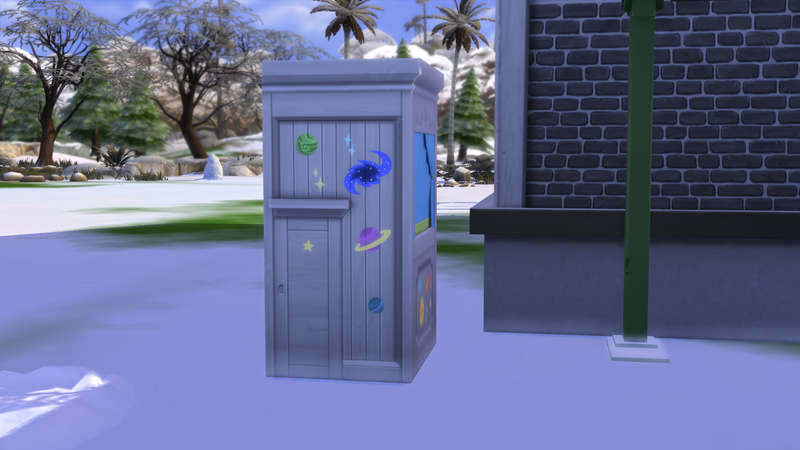 Adalind came home in this. I did not give her that. Why does EA do this to us? As is another cousin, Joshua! Guys. I’m still mad about this. 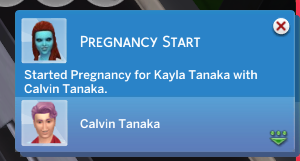 Kayla had a girl! 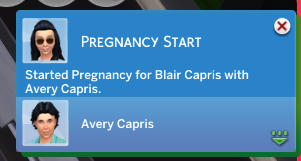 And cousin Avery had a girl! 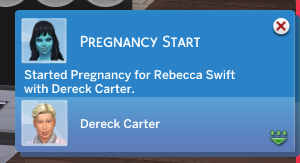 Rebecca had a girl! 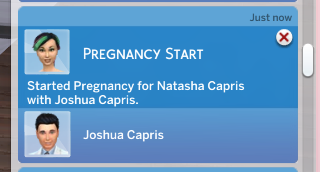 And Cousin Joshua had a boy! 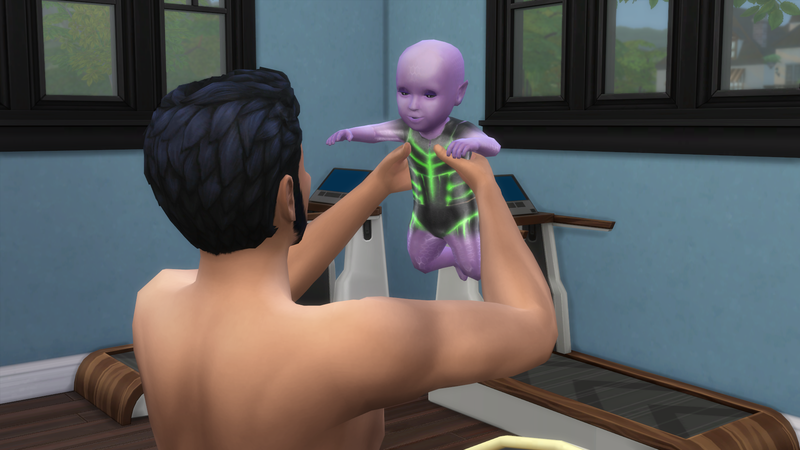 And then Malik decided it was time to introduce us to the alien spawn. Everyone, meet Laurel. 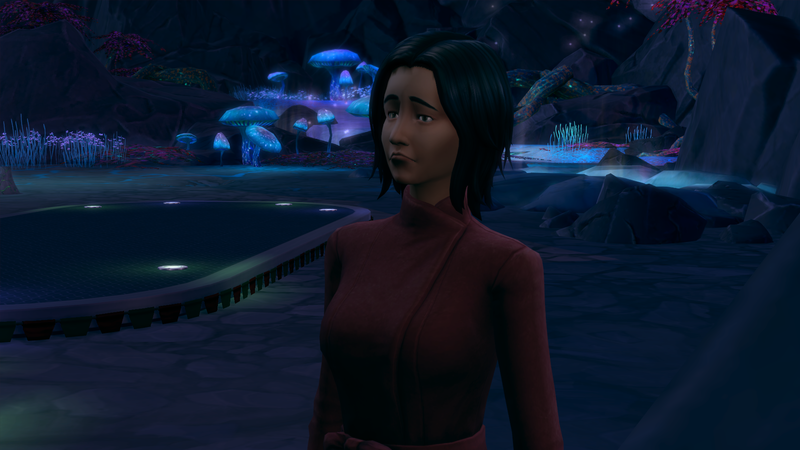 SHE’S PURPLE! I’ve only ever had blue aliens. So this is a nice surprise. /end chapter. 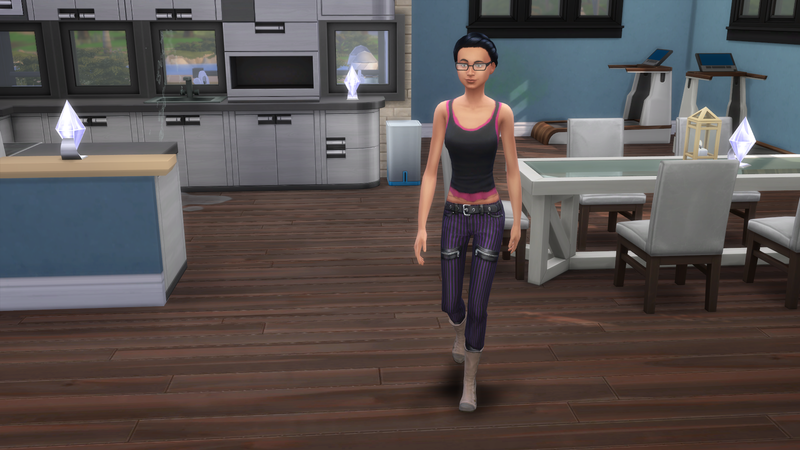 Adalind still has 4 or 5 days before she ages up… So we have one more chapter of filler before we kick off house 5! You’re almost done! 😀 congrats on completing the goals! 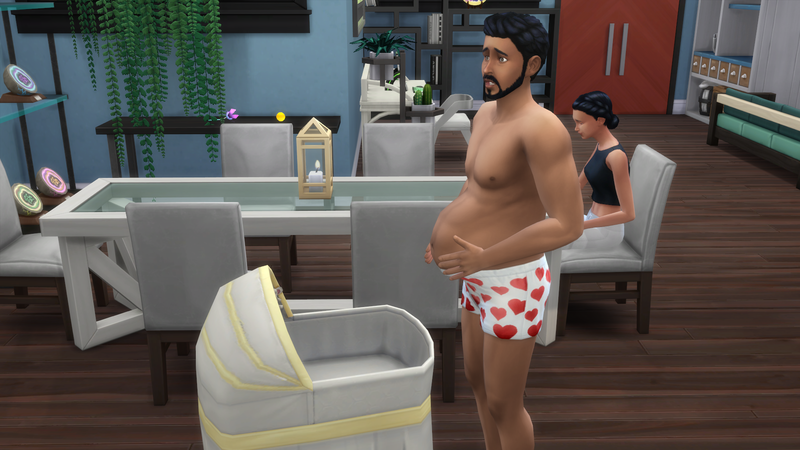 And …congrats on the unexpected alien baby~? 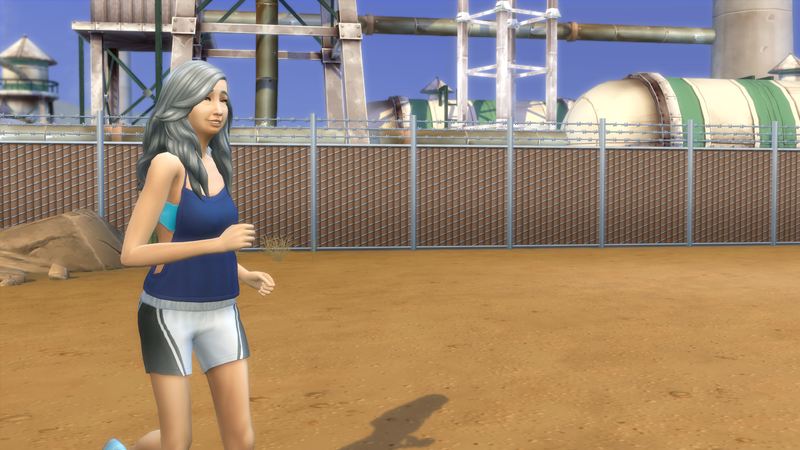 xD I think the game didn’t wanted Adalind to be an only child, at least her color is something new! I’m excited for House 005 already :D!! 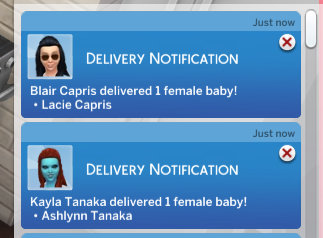 I’d be so annoyed with the alien baby. 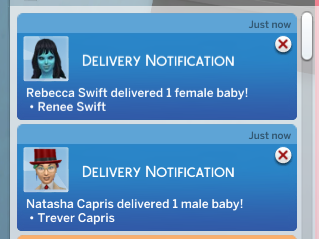 Can you send them back like you can in TS3?